When a business is looking to grow, the problem for most business owners is generating new prospects that will convert into paying customers. A business owner may join a networking group such as BNI, their local Chamber of Commerce, or a referral group to potentially increase their chances in interacting with someone who is looking for their services or someone who can serve as a conduit to pass along a referral. Business owners may spend hundreds of dollars over the course of a month going to networking events, one-on-one meetings, breakfasts, lunches, and dinners to cultivate relationships in the hopes that it will result in immediate or future business. Not only that, a business owner is spending dozens of hours every month traveling to/from these events and then spending the additional time at the event. There is an opportunity cost both monetary and time that a business owner goes through when hoping to increase their business. The idea is to increase the probability of finding someone looking for their services or someone who can serve as a conduit to pass along a referral. Business owners may spend hundreds of dollars over the course of a month going to networking events, one-on-one meetings, breakfasts, lunches, and dinners to cultivate relationships in the hopes that it will result in immediate or future business. Not only that, a business owner is spending dozens of hours every month traveling to/from these events and then spending the additional time at the event. There is an opportunity cost both monetary and time that a business owner goes through when hoping to grow their business. A business owner might also invest in different marketing/branding promotions to “get the word out” for their business. Flyers, door-to-door, billboards, signs, sponsorships, television/radio ads, may be a part of the strategy to increase the probability that someone who’d be interested in their services would see it. As with any smart business owner, to stay in business, the money spent to grow the business should deliver the most “bang for your buck.” The company should make as high of a margin as possible regarding the difference between how much a customer makes them versus how much it costs total to acquire them. The problem with many of the traditional methods is that a lot of time and resources may be spent to grow the business with people who just aren’t interested at all. Search engine optimization is a strategy that local businesses can use to increase their organic search rankings. The biggest search engine is Google, so a majority of SEO strategies go towards optimizing for Google. Google has the greatest market share in search engines, and a majority of people use it as their preferred channel of search. The reason why search engine optimization is so valuable is that Google is the biggest traffic source so whenever someone does a search for your local services, a business has the potential of being put in front of a majority of all possible people who could potentially become a client. Organic search traffic is different because all the people that will find your business were previously searching for solutions or a problem that your business addresses. Additionally, going to search engines to do research has become an integral part to research strategy of consumers when they are looking to hire a business or buy a product. Regardless of whether or not they have a referral in mind, a consumer will do a Google search in a region to compare companies and prices. By being positioned highly in organic search, your business is always in the conversation even when they find your competitors first. 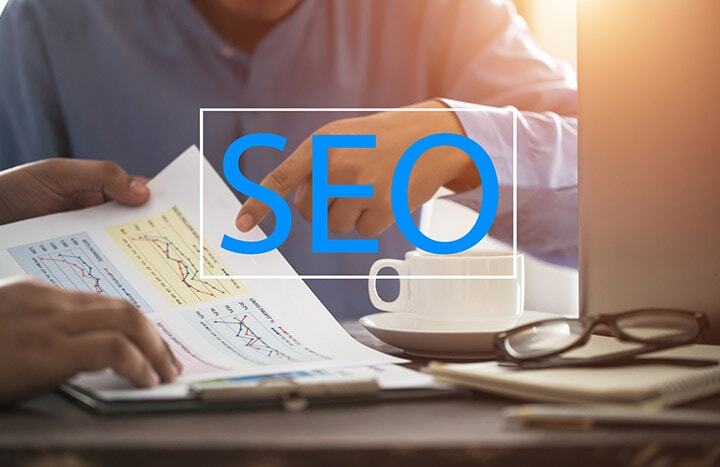 An additional side benefit is that by being ranked highly, it has the psychological effect on potential customers that you are the “best.” Search engine optimization also does not have any notation of being an “Ad,” so it positions you as the go-to the source. It saves you a lot of time and money since your rankings are up 24/7. In conclusion, search engine optimization has many benefits for a local business. You remove the limit on your time and resources by advertising to customers 24/7, you position yourself above your competitors as a trusted source, and you put yourself in front of the most number of clients who are also interested.